This photo taken on May 6, 2015 shows a female Yangtze giant softshell turtle at Suzhou Zoo in Suzhou in China's eastern Jiangsu province. 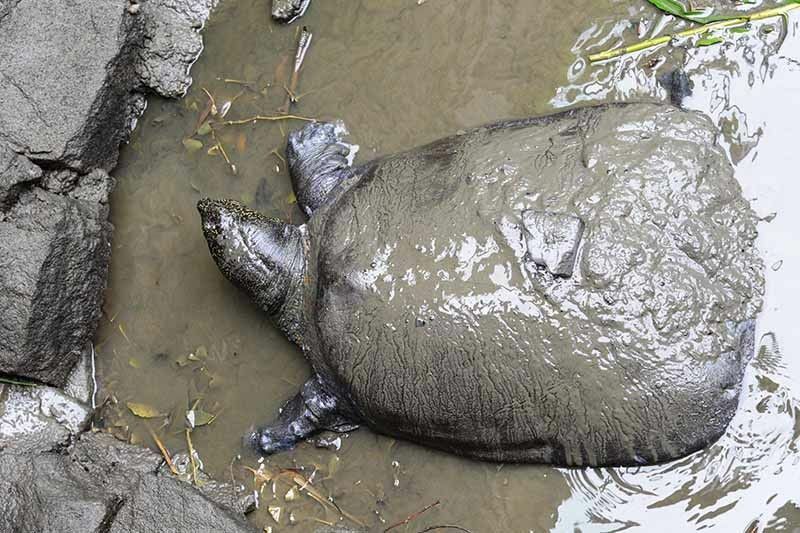 The world's largest turtle is on the brink of extinction after a female specimen died on April 13, 2019 at Suzhou zoo, leaving behind just three known members of the species. SHANGHAI, China — The world's rarest turtle has moved a step closer to extinction after a female specimen died in a Chinese zoo, leaving behind just three known members of the species.